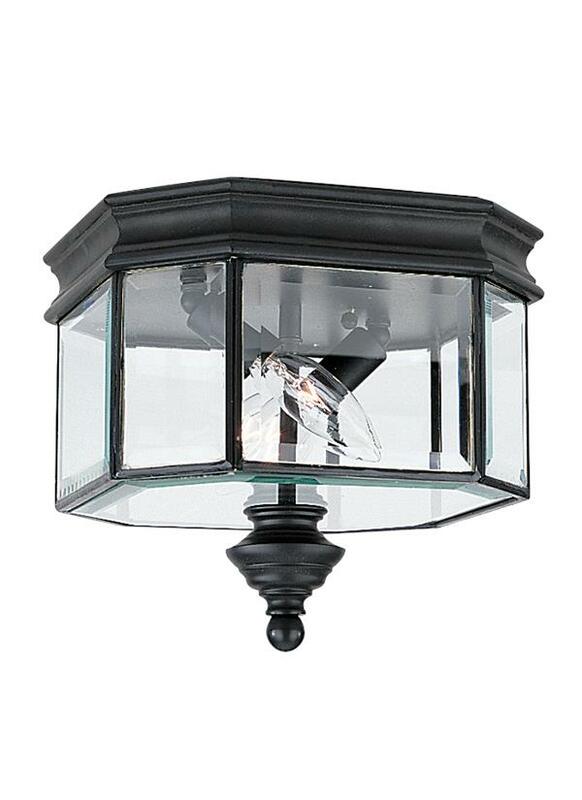 Clear beveled glass, classic details and a Black finish on cast aluminum add grandeur to the traditional styling of the Hill Gate outdoor lighting collection by Sea Gull Lighting. 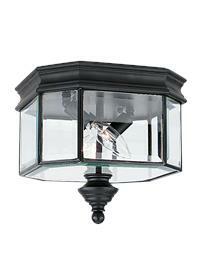 The assortment includes one-light, two-light (in both up & down light) and three-light (in both up and down light) outdoor wall lanterns, a large three-light outdoor wall lantern, a three-light outdoor pendant, a two-light outdoor ceiling flush mount and a three-light outdoor post lantern. Clear bulbs are recommended for better aesthetics.